Long viewed as one of the most-loved stalwarts of the Canadian marketplace, coffee chain Tim Hortons has had a startling fall from grace when it comes to the trust they enjoy from consumers. 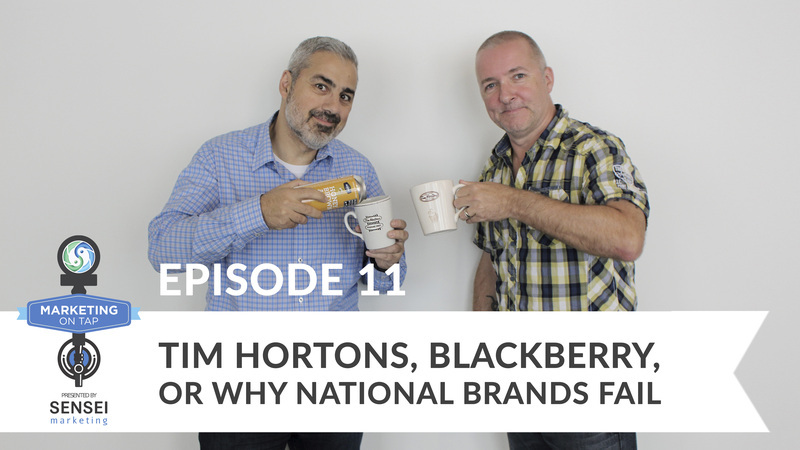 Almost mirroring the fall that smartphone maker BlackBerry experienced, even the brand loyalty that Tim Hortons almost exclusively enjoyed couldn’t stop the drop in love for the chain. 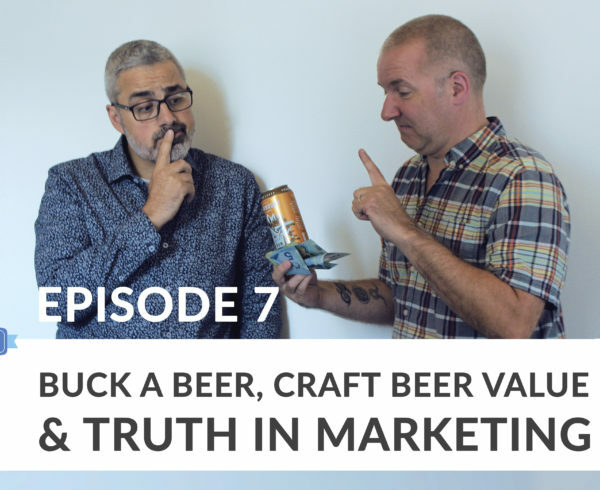 In this week’s episode of Marketing on Tap, we look at once-iconic brands and ask the question – is there even such a thing as a national brand anymore? Speaker 1: Welcome to Marketing On Tap, a weekly podcast in which marketing pros and authors Sam Fiorella and Danny Brown serve up the latest marketing hot topics, campaigns, and trends – all washed down with a great craft beer. Join in for the fun as they debate the pros and cons of the topic of the week while featuring popular or up and coming microbreweries. Topics include influence marketing, brand campaign successes and misses, customer advocacy programs, and marketing challenges facing businesses and agencies. 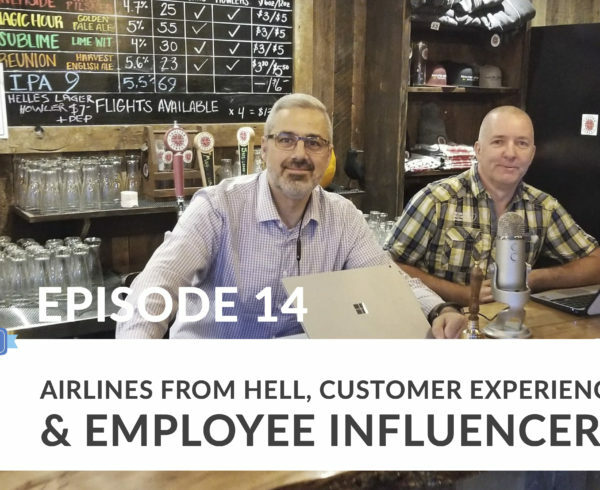 It’s the marketing podcast to listen to for CMOs, senior sales executives, and key decision makers at mid to enterprise level organizations. And with their good natured bashing of each other, each episode promises to entertain and educate in equal measure. Welcome to Marketing on Tap. 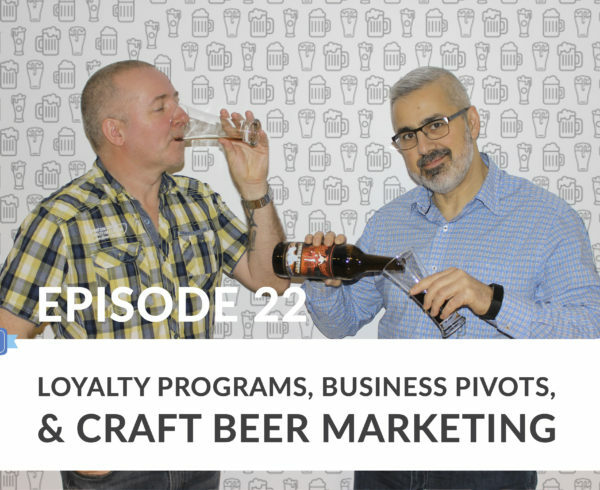 Sam Fiorella: Welcome back everybody to another vlog and podcast, Marketing on Tap. Sam Fiorella. This is my buddy once again, Danny Brown. Today, Danny, I want to talk about something very personal to us here and that is an iconic Canadian brand. And no, it’s not beer. Canadian’s are known for not too many things, we don’t have that sense of identity – which is maybe part of our identity, not having a sense of identity. We’re known for the great white north, coffee. Sorry, not coffee. Beer, obviously, good beer. Not just beer, but good beer. Hockey, of course. Being polite is another thing. Maybe Celine Dion. Danny Brown: Let’s not get carried away here. Sam Fiorella: What, poutine? There’s a couple of things that Canadians just really struggle for identity. And whenever there’s a brand out there or a personality that we’re proud of, we embrace it wholeheartedly because we’re just starved for some type of an identity. Where Americans have that strong identity, the French have a strong identity. Well, one of those brands is Tim Hortons. And it’s become actually a joke how much we love Tim Hortons in this country. They are an iconic coffee brand. Fast food, coffee, donuts, breakfast items. Sam Fiorella: Tim Bits. You know what I mean? For you Americans, that’s the hole of the donut, that I think a lot of American coffee companies and donut shops have picked up on and has gone everywhere. So anyway, the point here is that they were about as Canadian as a maple leaf in terms of their brand recognition and their love amongst Canadians. However, they’ve fallen in a recent study to 203rd spot of the most trusted and loved Canadian brands. And they were in the top five for the last five decades. Danny Brown: 203rd. That’s big. Sam Fiorella: It’s huge. It reminds me of the whole Blackberry thing. We want to talk about that today, a little bit about why it happened, but not… I don’t want to get into the weeds about why. But from a marketing perspective, that creates a void. And can there still be a national brand? And who’s going to come in to fill that void and how can they take advantage of this? That’s what I want to talk about. But let’s stop for coffee for a second, and get back to a more important subject… beer. Danny Brown: Yeah, Haliburton Highlands Honey Brown Ale today. I met these guys last year at the Toronto Craft Beer Festival on the island. And I tried one of their beers, it was an amber. Really nice, really smooth beer. Sam Fiorella: I like ambers. Sam Fiorella: Nice and smooth, cheers man. Cheers everyone. Ooh, that’s nice. Danny Brown: Yeah, that’s a real one. And you can taste the malt right away, the malt’s come through more. Sam Fiorella: I like it. Danny Brown: Little bit honey underneath, like it mentions. But yeah, the malt definitely comes. That’s a great Fall tint I think. Sam Fiorella: I like the caramel-y … yeah, and the temperature drop has been nuts. So this is actually making me feel. Unlike that stupid pumpkin spice crap that’s in absolutely everything these days. And I’m sure there’s a craft brewer out there that’s putting pumpkin in a beer, I’ve seen it and it just – stop, people. Please, please stop with the pumpkin. If it’s not a pumpkin pie? Don’t. Just don’t. Anyway, that’s another tangent that I wanna get off on. And I apologize for my voice, on top of everything else that’s happened to me this week I’ve gotten laryngitis. So I’m tryin to push through this as much as I can. So let’s get back to Tim Horton’s. Um … what the heck? Danny Brown: It’s well … you know, you could – I know we don’t want to get into the why too much, but you can look back at the last couple years as to what happened at Tim’s. So obviously, it got bought out. And they way they bought out the company, and the way they escorted the long term employees off site wasn’t real well received, obviously. There’s when the minimum pay came in, and you had some of the franchisees using the minimum pay excuse as a way to take back the corporate benefits. And they were pushing back while that’s coming down from corporate, it’s not really a franchisee thing. So there’s been a couple of things, big things, that I think have impacted the way Canadians look at the brand. But, even before that, Tim’s was starting to go down. You know, the product wasn’t that great, people were starting to find other chains or other local coffee shops. Sam Fiorella: Well, certainly we’ve gotta talk about McDonald’s, and their venture into the marketplace. The McCafe, and how I think Tim Horton’s probably underestimated the power that McDonald’s was gonna have in the marketplace. But I want to talk a little bit about the whole Canadiana brand, I wanna start there. Cause, you know, for me … definitely there’s been a lot of missteps. It’s owned by a Brazilian-based company right now, investment company. But, you know there’s been a whole shift. It was a Canadian company, started by a hockey player. I mean, how much more Canadian can you get than a donut shop founded by a famous hockey player, Tim Hortons and his partner five decades ago. But since then, it’s changed hands, right? It was merged with Burger King, and there was a big backlash then because all this “we’re not Canadian anymore, now this is yet another American company coming in here and trying to take over our brands and our culture”. That didn’t work out, so they repatriated the brand. And then Harvey’s, they got mixed up with Harvey’s, another hamburger chain. And then that got bought out by another company, which is predominantly owned by a Brazilian investment company. And over that time, this company is really known for its cost-cutting measures and what it’s tried to do. And they’ve taken the brand global, so that’s a good thing. Now in Qatar, Saudi Arabia, expanding across the States, there are Tim Hortons poppin up everywhere. So I think Canadians already saw “well this is no longer a Canadian brand”, right? So that was problem number one that they should’ve addressed, that clearly they didn’t have a concept of how Canadians were going to embrace that. But, you remember the … what made its marketing so Canadian? In your mind, what was it about Tim Hortons that was Canadian? Danny Brown: Um, I think it’s a fact that – I mean, I’ll be the first to admit I don’t really know the history, I only came to Canada ten or twelve years ago. But I always looked at the Tim Hortons brand as the colors of Canada, anyway. The big red letters, and the white façade. Sam Fiorella: Well, that’s interesting. Danny Brown: You had the maple flavored donuts, or whatever. So it’s little things like that, it’s about getting family together at a coffee shop, having donuts, having coffee. And the ads I remember, the winter ones, I was always thinking “Canadian winters, go to the local Tim’s”. And one of the big adverts I remember, two years ago, was a Tim’s up in Winnipeg, somewhere where it has real bad weather. And they put all the lights on, cause it was a power outage, so they put the lights on with their generator, all the families came together to have Tim’s and be with friends, etc. And to me, that was Canadian, right? We all come and we look after each other. Sam Fiorella: They look after each other in a snow storm. Danny Brown: Right, exactly. 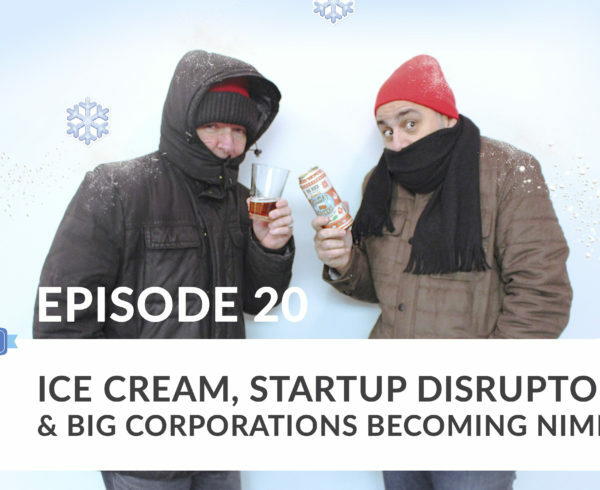 Whereas now, it’s all about competing because they’re trying to compete and move into new markets. It’s competing with the Burger Kings, McDonald’s, and doing stuff that isn’t Canadian-led. Sam Fiorella: Yeah, I think that’s fascinating. Y’know, being an outsider coming in, and what you would see. For me, Tim Hortons advertising has always been about positioning itself as being part of our culture. So, Hockey is about as Canadian as it gets. So I know one of the ads that they’ve run for many, many years is showing parents at five o’clock in the morning, at a hockey rink, watching their little kids playing hockey. Cause y’know, that’s what you do at four, five in the morning, you’re taking your kids to a hockey rink with your Tim Hortons, right? And then their whole Tim Bits, their little donut holes, they now sponsor all the little league football in the country. So, again, the whole Tim Bits and getting involved in the community … it was, it felt – oh, they even sponsored the Brier. And for those of you who aren’t Canadian, the Brier is a very famous en large curling tournament. So, they got as … they didn’t advertise in things that weren’t quintessentially Canadian. They said, I remember when you’ve taken a road trip. When I would go up to the cottage up north, we’d always say “which Tim’s are we gonna stop at on the way?” And we would map it out based on where we would have a Tim’s, right? So, they’ve got five thousand locations now, and it’s more a of a utility than it is a Canadian brand. And I think this is where there’s an opportunity. So, because of the missteps, cost-cutting. One of the horror stories I’ve heard from their corporate office is that they’re actually color-coding people’s desks based on output. You know what I mean? So that’s just how much [crosstalk 00:10:12] I know, trying to squeeze out of everybody. And that’s rolling down to the stores and Canadians … it’s one thing to say, y’know, you’re a Canadian brand, you’re owned by Canadians. It’s another thing to say you’re gonna not treat your employees well. Sam Fiorella: That’s right. So Canadians will really get behind the workers, and they just really misread the audience in their effort to cost-cut and make a bigger profit, potentially to sell this company to someone else. They’ve really misunderstood … didn’t understand what Canadians were going to appeal to. So, between that and their changing menu items, which aren’t keeping track of people’s trends, there’s been a lot of missteps. So, they are still the number one coffee retailer in the country, but they’re losing share. In 2015, they had a 90% increase in stock price, but they’ve fallen flat, they’ve had actually a 2% decrease. The brand is gone from the most famous to 203rd in terms of trusted brands. And now, of course, Starbucks and McDonald’s Café in particular, with their dollar coffees. Because of promotion I think they’re doing that all the time now. They understand, there’s blood in the water and they’re circling. So what can another brand do? Y’know, whether you’re an American brand, a French brand, what can another brand do to come in and replace that traditionally iconic Canadian brand? Danny Brown: It’s tough. I mean, the place I go to – and I go to a chain – it’s Second Cup. And I go for the ambience, right? The coffee’s great, I love the coffee, you get the big proper mugs and everything. And that plays a new part of it, you go there to experience the coffee as opposed to the drive-through. Which, people mostly associate with a Tim’s. So, I think playing into that where you separate yourself from the pack. So we know that McDonald’s does the cheap coffee, we know that Starbucks does the grandes or whatever. Sam Fiorella: The really expensive coffee. Danny Brown: Exactly, real expensive. So you want it so you get in that middle town that Tim’s used to play at, I guess? Um, like go for, say, the experience. Say, you know, you don’t come to us just to drive by your coffee, you come to enjoy your coffee. And try tap into the Canadian nationalism, if that’s the right word for Canadians. That’s missing now that Tim’s had suddenly gone away. Sam Fiorella: Yeah. And I think it goes back to understanding the audience, I agree with you. One of the things that … yes, their quality was good, they had decent coffee, which they’ve changed some ten years ago, they changed vendors famously. And it’s certainly not as good as it used to be, the donuts are not as good as they used to be. They’re parboiled now, and they’re not fresh every day they say on their sign. Sandwiches are not as fresh as they used to be. So there’s all kinds of issues quality-wise, but … we were, I believe, as a marketplace, willing to eat that – pardon the pun – because it was just so Canadian. Danny Brown: It’s instilled in you, right? Sam Fiorella: That’s right, I think if another companies gonna come in, they’re gonna have to really go to what you said. They have to re-ignite that sense of nationalism that Canadians are just so desperate for. But I don’t know that an outside brand can do that. Like, I don’t think Starbucks will ever be that brand for us. Danny Brown: I mean, they could rename themselves Starbucks Canada. I don’t think it’d make a huge difference. Sam Fiorella: They got the light the, what is um … they’ve come out with, in their attempt to do this, they’ve got a light roast now. Which is a Canadian roast, their light roast. I don’t even remember the name of it now, but they did this survey, y’know “give it a name, Canada”. The different flavors … yeah, it’s their blond, but there’s a name – cause like, even in the United States now they have a blond roast. Which is basically their light roast, like the pike is their medium, and then whatever their strong roast is. But there was actually one that’s just for Canada, so they tried to do that, but it didn’t really take off in the same way that the Tim Hortons does. So, I’m not even sure that there is a way. But there is a vacuum there. Remember the Molson Canadian, right? I am Canadian, look at how well that did for them. Molson Canadian is my dad’s beer, it was that and those old brown stubbies. You know what I mean? That’s what I remember my dad used to drink. And so, they have tried to reinvent the brand, and try to get it in. So they came up with – I think, one of the best marketing campaigns ever, which is I am Canadian. And it really played on that desperation for sense of identity. Say, if I drink this I am Canadian. They represented “if you drink this, this is what Canadian means, drinking this”. But now, today, again, that brand and that product is more popular outside Canada than it is inside Canada. Cause Canadian tastes are going more towards craft beer, better, European-quality beers, Trappist beers, things like that. So they’ve also not been able to hold onto it. So I wanna ask you, can there truly be a national brand today? Is that still something that’s strong in people? Or are we just too global to ever have that back again? Danny Brown: I think that there can be. It ties into what does Canada stand for? And for me, it’s always been openness and support, like I spoke about earlier, supporting your community. And, if a brand can come in and ensure that “yes, we’re going to advertise, but we’re using locally-sourced products”. Like Haliburton guys, they use local sourced farmer’s products. So, “we use locally-sourced products, we’re giving back to the community, we’re not gonna give out some faux-Canadianism, like hey, we use maple syrup in our maple”. We know you use maple in your maple donuts, that’s why it’s called maple donuts. We don’t have to be told you use it, right? Just give us the stuff and we’ll pick it if we like it. So maybe, play on the Canadian stuff that people relate to, but not shove it down our face. And maybe, cause Canada’s such a multicultural place, everybody’s Canadian so … I don’t really know where I’m going with this, but I know that it’s all about Canada’s a multicultural place. So there’s not one defining thing that’s Canadian, so tap into all these little things. All these little micro messages going out, to all these different micro customers, that makes the whole Canada. Sam Fiorella: See, for me, that is quintessentially Canadian. You know what I mean? It’s the fact that we are not just one group of people, that we are this tapestry that makes us. We embrace that diversity, unlike almost any other country in the world. And while there’s certainly some fringes that are challenging that right now, like this populism that’s happening all over the world, I think more so than any other country we are still that one embraces. So, for a brand to sort of fill in this vacuum, it’s not just about producing a better coffee, because certainly there’s lots of praise for the quality of the McDonald’s coffee, it’s at a great price. They don’t have as many restaurants in the country as Tim Hortons, Tim Hortons actually has far more physical locations than even McDonald’s does. Danny Brown: It’s obviously busier. Sam Fiorella: And they all do seem busier, still. But I think for even McDonald’s to come in, I don’t think that they could ever … they might even produce a better coffee, maybe at a better price, but they won’t be able to tap into that nationalism. So, I do believe a brand can regain that national spirit and become a national iconic brand, but it has to be Canadian in some capacity. And if it isn’t Canadian owned, then I think what has to happen is, they have to get so involved in the community and tap into that inclusiveness. Y’know, drinking this product has to be synonymous with coming together. Like that old Coke ad that we talked about last week at the end of the podcast, y’know those Christmas ads about everybody coming together around the Coca Cola. I think that that has to happen and – especially in our hyper-political times with the divisions that are happening in our conversations right now – any brand that can do that will align itself better. I think that would really work. Danny Brown: Just don’t hire Kylie Jenner, too. Sam Fiorella: Yeah, don’t hire Kylie Jenner. Now like someone’s gonna actually go and do that, and prove us wrong. So, do you think that they underestimated? I mean, of all the problems that have happened, this is also ties into a branding issue. Did they underestimate the effectiveness of the McCafe, or the power that they were gonna have to bring coffee, an alternative coffee into the marketplace? Danny Brown: Yeah, I think you can tie it perfectly back to Blackberry, when it was ruined. And when Apple was ready to introduce the iPhone, and famously see a [inaudible 00:18:56]. So, definitely underestimated it, and history repeats itself. You look at Tim’s probably looking at McCafe thinkin “well, it’s a fast food drink from a burger guy, it’s not gonna be like our coffee”. But like I said earlier, their coffee hasn’t been as good for the last ten years anyway. So I think they definitely did underestimate McDonald’s in market budget, cause they’ve got money to throw, they’ll take hits. And how they could actually go after the audience they wanted to go after, and where the locations are, the promotions are, so yeah. I think they definitely underestimated it, and that’s showing in their sort of fall from grace. Sam Fiorella: I know what, I agree. And I think that the Blackberry analogy is a brilliant one to make. Because, I mean, for those of you that remember Blackberry, iconic Canadian company. They invented the smartphone. They were one of the most successful companies that Canada has ever put out, and it was like the number one smartphone manufacturer in the world. And in many parts of the world they still are pretty strong, but they died literally overnight. It was just … they went from making millions of dollars to losing millions of dollars over – like in the matter of one quarter. And it’s because they underestimated the power of personal productivity and entertainment on a phone, over security, combined with security. Didn’t realize the demands of the audience changed and they didn’t. Their marketing didn’t change with it, and their product didn’t change with it. So I think there’s a lot of similarities with what’s going on now with Tim Hortons where they’re trying different products, but it’s not appealing to the new audience and the way that they want their fix. So, I’m getting the … thank you Steven, for our bell. Last call, we’re being cut off. I got so much more I wanna talk about with this, but they’re trying to keep us on a time limit. And I think my voice probably would appreciate it. So I’m gonna leave it to you for it to start off, what do you think, final thought on iconic Canadian brands, or iconic national brands in general. Can they still exist, and what’s it gonna take to keep that power going? Danny Brown: Yeah, I mean, to your point, I think they can exist. I struggle to get really national brands, cause I think that can go either way because of division [inaudible 00:21:07]. But yeah, just don’t try too hard, don’t try and push your nationalism. Canadians know, or any U.S, Brits know, anybody know have a brand that’s been sincere, a brand that’s their roots, etc. So, you know, put the message out but don’t try and force it down us to say “buy this because we’re Canadian”. Make sure your product fits that message. Sam Fiorella: Yeah, like walk the walk basically. Walk the walk. And that’s astute, Danny. It might be the first astute thing I heard you say all week. Danny Brown: Well, apart from when I say I’ve got beer in the fridge. Sam Fiorella: Yes, that’s my favorite thing about you, there’s always beer in the fridge. That’s why we’re friends. For me, the final thought I think out there is, don’t forget to listen to your audience. Don’t rest on your laurels, I think we talked about that a couple of weeks ago, when is a brand, when is a marketing campaign too dead? When do you have to move on? And I think when between the merger with Tim Hortons or with Burger King, and then Harvey’s, and now the Brazilian company that owns it, they went so far into “how do we make this an international brand, how do we squeeze more profit out of this thing?” That they forgot to listen to the changing mood of the audience, right? Canadians are moving on, like every country there’s a millennial population that is interested in the Starbucks vibe, or the Second Cup vibe where you’re going in there and it’s a little bit more about the being seen. There also this craft beer, there’s a lot of … a friend of ours, Odin BC, is on this trek that he’s never gonna go to Starbucks again. But every day he’s gonna buy a coffee from a local coffee shop, support local, and he’s posting pictures of himself doing that. Which I think is fantastic. So, this little coffee shop thing is becoming very popular with millennials. And, if you think about it, you go into any Tim Hortons today, who’s outside? It’s the utility trucks. You know what I mean? The construction guys, it’s a utility. That’s the majority of the people that are there and it’s a lot of senior citizens. When the boomers are gone, who’s gonna buy coffee from these people anymore? So, they really didn’t understand that the market is going for environmentally conscious, socially conscious brand. It’s a hipper audience, they’re not bringing in the right products to keep up with that. So they can just forget the Canadiana, or the nationalism, they just didn’t listen to what Canadians want today in general. And I think that certainly hurt them. Anyway, I hope you guys got some inspiration out of that. Thank you very much for following, we’re really appreciative of the numbers of you that are coming out. We’re coming up first on Spotify right now, for the podcast, for those of you. I’m getting some great comments, either out on the streets. I got yesterday at the TFC games, somebody stopped me to talk about how much they’re enjoying the vlog more so than the podcast, apparently. Danny Brown: Probably because he can lipread me. Sam Fiorella: Don’t forget to hit subscribe if you want to be alerted for when this comes out every week, whether it’s on the Youtube channel or, of course, whatever station you’re listening to us for your podcasts. We really appreciate the support. Until next time, thank you very much everybody. Danny Brown, Sam Fiorella. Cheers guys. Speaker 1: You’ve been listening to Marketing On Tap with Sam Fiorella and Danny Brown. 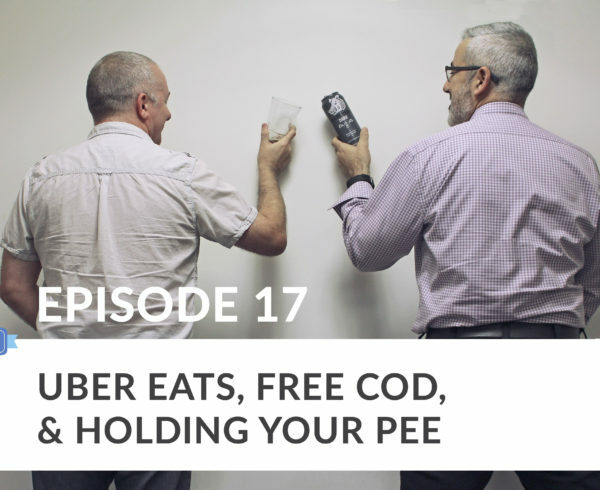 If you enjoyed this episode, make sure to subscribe so you don’t miss the next one. And please, feel free to leave a show review, that’s always worth a cheers.